The RHS Halls play host to an annual show for garden journalists. It's a great opportunity for garden product manufacturers to showcase their new products to the people who write about them. 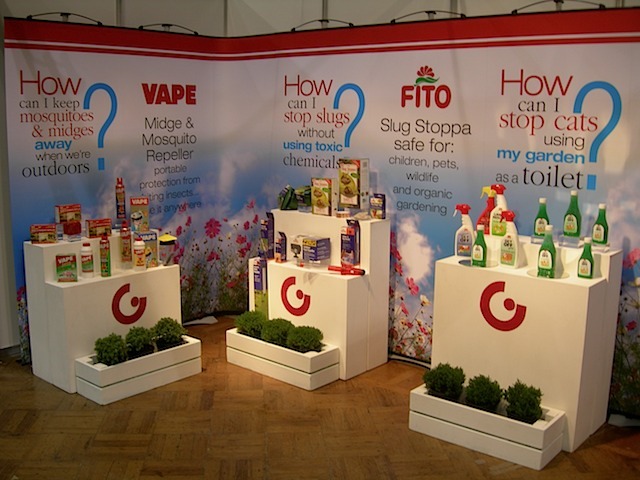 We've been responsible for project managing exhibiting at the event on behalf of Spotless Punch. This involves stand design, graphics production, stand dressing, provision of press packs and writing press materials for the use of journalists. We've been delighted by the excellent feedback both from our client and by the journalists. A small space, but a big impact on visitors.